The world of business partnerships is kicking off 2016 with a bang, bringing together the old world of cars with the new. GM, the occasionally troubled behemoth carmaker founded in 1908, and Lyft, the once-mustachioed ride-hailing service (that isn’t Uber) founded in 2012, are embarking together on a half-billion dollar plan to bring the future to a street near you. As the New York Times reports, GM is investing $500 million in Lyft’s current $1 billion round of financing. That’s a lot of cash, and the two companies have big plans for what they will do with that money. It’s not just going to be business as usual for Lyft; there are two big changes coming. The other, however, is where we start to get into the stranger parts of living in the future: as part of the investment, GM will be developing an “on-demand network of self-driving cars,” according to the NYT. 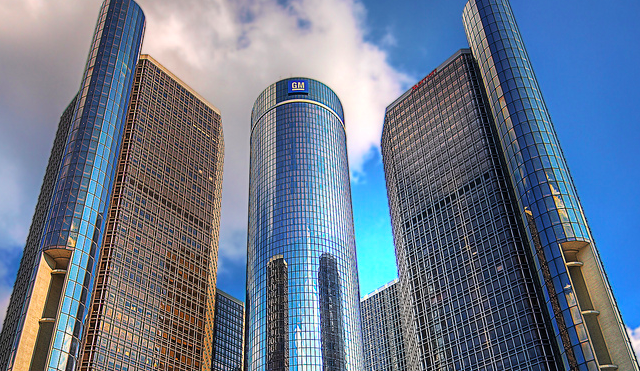 In this, GM suddenly finds itself entering the space where the best-known competitors so far are Google and Tesla, although Uber, Toyota, and others have all been making noise about autonomous vehicles in recent months as well. The partnership may feel strange, but from a business perspective it makes sense. Lyft can pocket millions or billions of dollars without worrying about pesky things like “labor law” if they can remove the drivers from their ride-hailing process entirely. And GM could really, really use some positive press as well as a partner helping them beat competitors and dive into the 21st century. Previous Starbucks Adds Latte Macchiato To Permanent Menu — So… What The Heck Is A Latte Macchiato?